Following the success of its deaeration training workshops, Spirotech has announced new dates for 2018, where installers will get the exclusive opportunity to learn more about the importance of deaeration and Spirotech’s range of air removal and system protection products. The sessions are being held on 25th April, 23rd May, 20th June and 12th September at Spirotech’s UK headquarters in Shirley, West Midlands, which is home to the Spirotech ‘engine room’: a fully fitted out test and demo facility that allows installers to see first-hand how Spirotech products can protect, maintain and extend heating system efficiency. 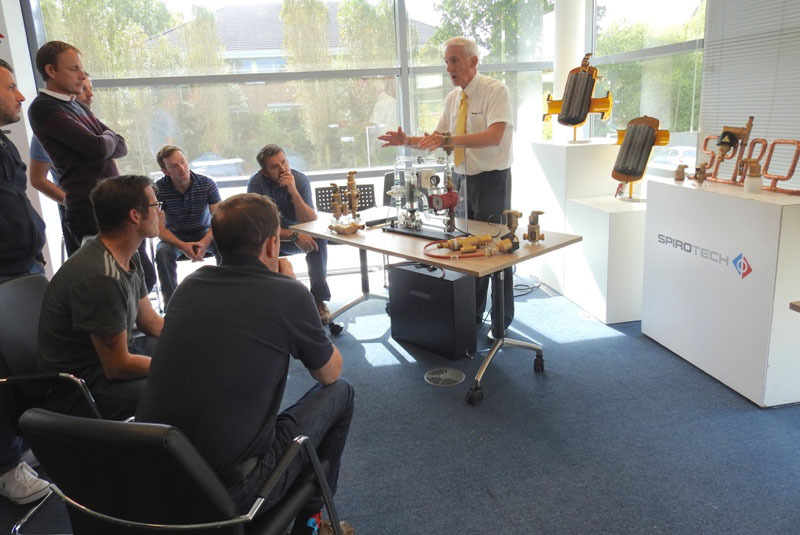 One further event will take place on 6th June at the Vaillant Centre of Excellence in Glasgow, Scotland, to cater to those based north of the border. The workshops are designed to allow installers to ask questions, share their opinions and get hands-on with how deaeration works with the help of Spirotech’s specially-designed demonstration units. The announcement follows a series of successful training events that have taken place over the last two years. The original sessions proved hugely popular among installers, and Spirotech has seen a marked rise in interest in its deaeration products as a result. The manufacturer, which is currently celebrating 50 years of its SpiroVent range of deaeration products, has led the way in deaeration since the products were first launched. The process systematically removes air – the main culprit behind most common heating system complaints, including noisy radiators, cold spots, lower heat output and higher running costs – from both domestic and commercial heating systems. Kevan Peaker, UK Business Unit Director at Spirotech, said: “Since our first training event back in 2016, we have seen a step change in the industry when it comes to deaeration. Installers across the UK are now understanding and embracing the concept, and recognising that system health and performance can only be optimised when deaeration is applied.